Grand Rapids Fencing Academy has quickly earned a reputation for the quality of its weekend training camps which are held quarterly. Designed for the intermediate and advanced fencer, GRAFA camps focus on the preparation of youth fencers for the USFA Summer Nationals. Each camp builds on the knowledge of the previous session. GRAFA camps with Notre Dame coaches Gia Kvaratshelia who led Notre Dame team to their NCAA Championship title in 2017 and US women’s foil National coach Buckie Leach. Buckie is US National coach for the last 4 out of 5 Olympic games, with women recently earning silver medals at Senior World Championship in Leipzig, Germany, and first time in US fencing history earning number 2 rank in the world classification. 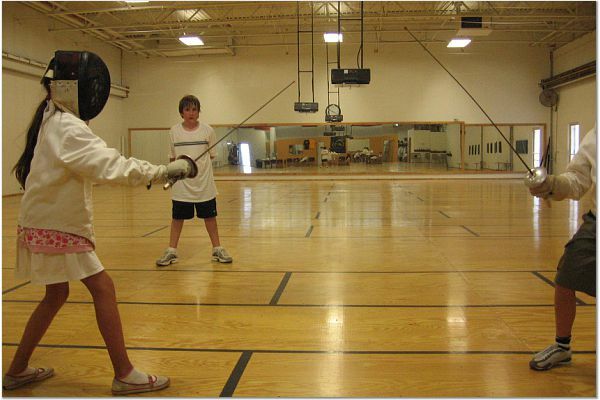 We invite fencers ages 16 and under to join. Fencers will be divided into two age groups: “15-20” and “14 and under,” or by fencing experience. Camp enrollment is limited and has consistently reached maximum enrollment several weeks ahead of the event date, so we encourage you to register your child early. Families of members of Grand Rapids Fencing Academy will host out-of-town campers providing accommodations and meals.